Phyllis – Radio Personality of 94.5 THE BUZZ/ The Rod Ryan Morning Show’s Rhinoplasty Results (Nose Job) by Dr. Franklin Rose! UPDATED: See the beautiful before & after photo of rhinoplasty (nose job) by Dr. Franklin Rose for Phyllis of THE BUZZ! People were asking for a before and after of my nose, here ya go! 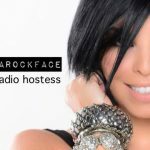 Impressed with Dr. Franklin Rose’s work on beautiful @TheresaRockFace; Morning Radio Personality/Entertainer Phyllis of 94.5 THE BUZZ https://thebuzz.iheart.com/featured/phyllis/ visited celebrity plastic surgeon Dr. Rose for a rhinoplasty (nose job) on Tuesday, October 24th, 2017.